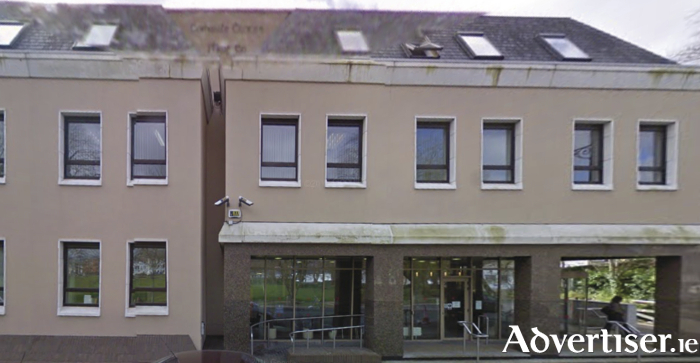 Mayo County Council’s budget meeting was adjourned for a week this morning to allow for the councillors more time to consider the draft budget put before them. Fianna Fail whip - Cllr Damien Ryan proposed the adjournment of the meeting for a week, which was supported by all the other groupings in the chamber. Cllr Ryan proposed that following the initial introductary presentations by the council chief executive, Peter Hynes and the director of finance, Peter Duggan the meeting would adjourn for seven days. The total expected spend of the budget for 2018 is €130 million and the council is also under pressure to reduce it’s deficit of €3.4 million over the coming year. The draft budget proposed for an 7.5 per cent increase in the commercial rates collected by the council. To help counteract this increase in rates the council has also proposed to put in place a small business support scheme where rate payers whose total rateable valuation is €5,156 per year will be able to qualify for a grant which is the equivialent of five per cent of the rates billed to them - exclusive of arrears. The council’s finance director Peter Duggan told the meeting that it is estimated that this small business grant will see 3,800 business or 81 per cent of all rate payers qualify for this scheme. To qualify for the scheme business’ must have their rates paid in full on or before July 31 next year or to have entered into a standing order agreement or other payment plan to have the rates paid by December 10 next. He went on to inform them that the grant would be off set automatically against the rates account, so business who qualify will have to do nothing to access the grant. However - business’ or companies who use multiple properties in the county will only be able to qualify once for the grant - not for each individual properties. It is expected that the grant will cost the council €328,789 next year. In total next year the council expects to take in €31,726,000 from in rates payments and an increase of €1,335,000 on last years bugeted figure for rates income, which equates to 24.28 per cent of their annual income. Hynes also told the meeting that - “it is getting increasingly difficult to balance budgets every year. One of our biggest challenges here is to maintain control of our own financial destiny, we are operating with a revenue account balance deficit of €3.4 million - we are coming under significant and growing pressure to bring this back to zero. We are currently in the lower league table and we need to be moving out of the relegation zone and into mid-table, not within one year but over four or five years. We need to be aiming to put in place robust budgets - that can be delivered and don’t have too much hit and hope about them, so we don’t end up with the deficit going the opposite direction - because if it does, we have people who will step in and direct us how to deal with it and we don’t want that to happen to this county."